If you are new in hospitality industry or studying in hotel or restaurant management and want to have a career as waiter or server then you must want to know how to be a better or great waiter, right? From today, we are going to start a new series of tutorials where we will share all tips and suggestions that you should follow in order to be a better waiter or waitress. Providing high standard service greatly depends on your knowledge on the menu. 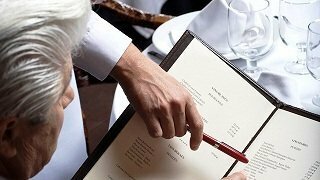 In fact menu knowledge is one of the most important factors that you will not see in job description of a waiter or waitress but it decides how good you are as a waiter or server. As we told earlier, there are different classifications of menu. Some are very short, some are long and complex. Here, menu knowledge doesn’t mean that you need to memorize everything. What it means that you should be familiar with what is on your menu so that you can answer each and every guest regardless of guest’s tastes and personality. There will be so many items in your menu that you really don’t like. But your preference will not be excepted here. What you really hate to have maybe someone’s most favorite dish. Since it is the guests who come to your hotel or restaurant or resort with their different choice of food are willing to pay for food, you should always be right after their as a guide to provide best possible direction and suggestion. Write down everything that you want to memorize is a good idea for many. You may write down items according to guest’s question. After getting good command over menu you may take a pen and paper and ask yourself question that your guest may have. Say write down all the names of seafood that your restaurant offers. Again you may write down description of a food in detail like how does chef cook it, proper portion sizes, how much time is needed to cook, how does it serve etc. Typing on your computer or writing down in a paper may be a great idea to memorize tricky items of your menu. Your colleague may be your best support for learning menu. If you find someone who is willing to help you or have interest like you to memorize menu then you may play games, like, ask each other random questions. In this way your learning will be entertaining. You can play role like guest and ask different question about different items. In that way many new questions may come in your mind that you don’t know. You will always have chance to know answers of those questions from your seniors later. Read the whole menu regularly, make it your habit. Don’t let your guest know your menu better than you. Try to make a habit of looking and reading the menu regularly so that you would not forget anything and become updated with new revisions and changes of the menu. You can answer guest’s question very easily. While doing suggestive selling, you can comfortably recommend different choices. You can easily estimate food preparation time. You can discuss about various cooking methods, accompaniments, condiments and decoration styles. All in all, it just makes your job easier. Portion sizes. Unless you have the clear idea, you can’t deliver proper size to your guest. Even some guest ask the question about portion while placing or delivering the order. Brand name of different beverage items. The easiest way to learn about accompaniments is to read the menu! According to Wikipedia, a condiment is an edible food, such as a sauce, that is added to some foods to impart a particular flavor, enhance its flavor, or in some cultures, to complement the dish. The term originally described pickled or preserved foods, but has shifted meaning over time. Certain foods are traditionally accompanied by certain items. For instance, fried foods and ketchup. It’s your job to learn the right condiments for the items on the menu. If you are a room service waiter and forget the condiment, you’ll need to go back to the kitchen to get it. This will not only kill your valuable time but also guest’s food may turn cold. If you put the wrong condiment on a tray, then it will have no use. And even in some cases, there are few condiments may cost as much as the ordered food. Note: Generally room service waiters have pockets in their aprons. So putting a couple of small single services jars of condiments in the front pocket could be a great idea since it will save time. Do you really know how long does it take to prepare a steak? A grilled salmon? An omelet? A piece of prime rib? A martini? Knowing food preparation times makes your job easier whether estimating room delivery time or taking and delivering the order. It helps you to provide a quite accurate delivery time quote to the Guest when they order room service. It enables you to get your items ready at the right time. For example, say you get an order of a steak well done and a cocktail or and soda. So if you don’t know how much time needed to prepare a well done steak, the ice in your cocktail or soda could be melted, and the soda will be flat. 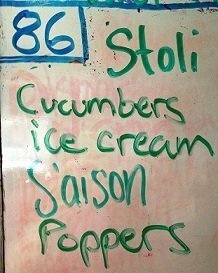 86 doesn’t only mean that the kitchen is out of an ingredient, that why the item is not available. The term also means to “get rid of something.” So, if something has gone bad so that you can’t sell anymore and a kitchen staff is told to “86 it,” this would mean that to throw the food out. Here’s a tip to order takers or servers. Never tell your customers that you have “run out of something”. Let’s say that the kitchen is out of Smoked Brisket. Say, “the Smoked Brisket have “sold out.” If you say “ran out” then it gives negative impression, not necessarily everyone but few guest may assume that the restaurant is mismanaged. On the other hand, when you would say “sold out” then it will give positive impression among guest. They may assume that your business is really booming, and that particular item which has been sold out must be very popular and tasty. Steak How do you like the steak to be cooked – Rare, medium or well done? Breakfast Meat Bacon or sausage? Boiled How long do you want? Poached How do you want to be served – in a cup or on toast? Bread type ( if not biscuit) What type of toast? White? Wheat? Hamburger & Steaks Degree of doneness? R, MR, M, MW, W and sides? Sandwiches Choice of bread and Sides? Martini Olives or twist? Gin or Vodka? That’s all for today, we really hope you have liked our today’s article. In our upcoming tutorials, we will cover more tips that will DEFINITELY help you to be a great waiter. In the mean time, we are requesting you to subscribe to our YouTube channel where we are developing new tutorials in video format that you should watch for the betterment of your career. Just click HERE and get our training videos in your inbox.